Although we're known as a Master Agency, CNSG is more than that. We are a consultancy of solutions providers for comprehensive, end-to-end telecommunications services. The depth of carrier experience we bring to the table is complimented by our everyday commitment to providing long-term value to each and every customer. As a partner or agent with CNSG, you can expect nothing less than the best service and support from us as well. 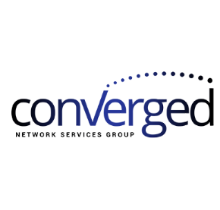 CNSG's unrivaled carrier background and commitment to driving success—for our customers, partners, agents and carriers alike—is why we are recognized as #1 Master Agency and we are one of the largest and fastest growing master agencies in the channel. Join the #1 Master Agency If you want to become part of a leading agency—where you are more of a solutions provider than an agent—then a partnership with CNSG is the right choice. We offer two opportunities to join our partner and agent program. As a traditional partner agent, you keep your brand and leverage CNSG's connections to win more business. For instance, you can sell your core IP or interconnect services and work with CNSG for network connectivity and cloud services…however you want to leverage your partnership with CNSG is up to you. If you meet certain requirements, you can become a brandchise partner in our elite Partner Xsell program designed to accelerate your business. As a brandchise partner, under the CNSG brand, you'll have the opportunity to own your own business and be a part of a larger organization to meet your clients' needs. Our carrier relationships run deep. 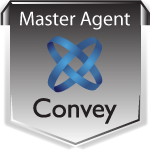 We're the only master agency owned by former C-level carrier executives. We currently sit on carrier advisory boards and have decades of experience in their space. When your customers have issues, we can escalate up the ranks to get them resolved much quicker. Integrity, Trust and a Relationship You Can Count On Personal attention and responsive service drives everything we do at CNSG. We go the extra mile to treat your business and your customers like our own. You won't find credibility like ours anywhere else, but what you will find is a level of responsiveness, assurance and customer satisfaction that only CNSG's depth of experience and relationship can offer.